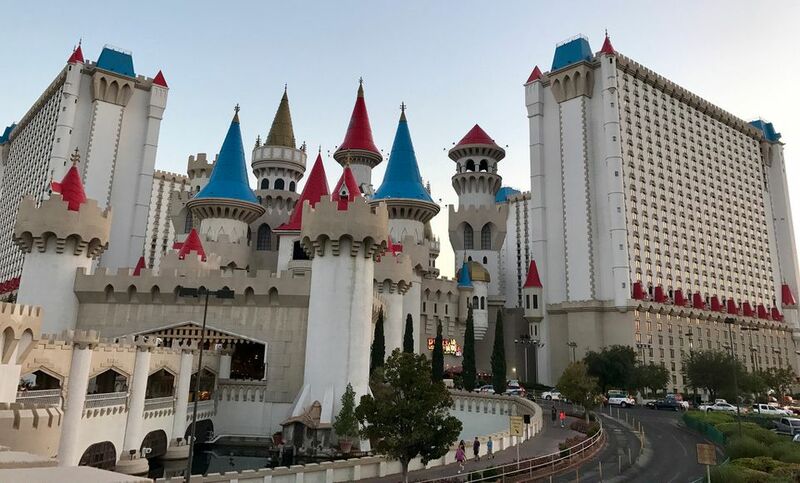 The Excalibur is a low-cost alternative to the mega-resorts on the Las Vegas Strip. Your children will have plenty to do and your wallet won't take a big hit. The Excalibur Hotel & Casino is located on the busy intersection of Tropicana and Las Vegas Blvd. This location leaves you a very short distance from the MGM Grand, New York/New York, Luxor, and the Mandalay Bay Hotel. The rooms at the Excalibur were remodeled a few years ago and they look great. The pool also underwent a renovation, so you can count on a good time outside cooling off by the water. If you need a quick meal for a reasonable price, the cafe at Excalibur is a reasonable option. There are also plenty of fast food options available at the hotel. The casino floor at Excalibur is very spacious and you will be pleased with your gaming options. Good, vulgar, and rude fun in Las Vegas, Dicks Last Resort is a perfect fit in Las Vegas. Kids will have a blast entertaining themselves at the Midway Arcade at the Excalibur Hotel. The exterior of the Excalibur is both impressive and fun -- perfect for a family vacation.